1.In 4-1/2- to 6-quart slow cooker, stir all ingredients making sure that chicken is completely submerged. Cover; cook on low 10 hours. 2.Transfer chicken to cutting board; shred chicken with 2 forks. Stir shredded chicken into slow cooker. 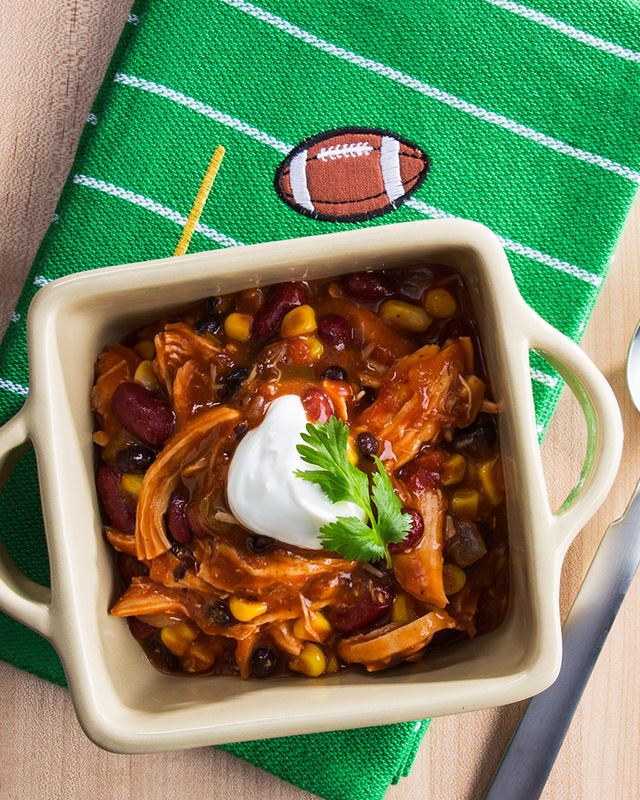 Serve chili with fresh cilantro and/or a dollop of plain Greek yogurt, if desired.